What could be the common ground between Christmas and Crisps? 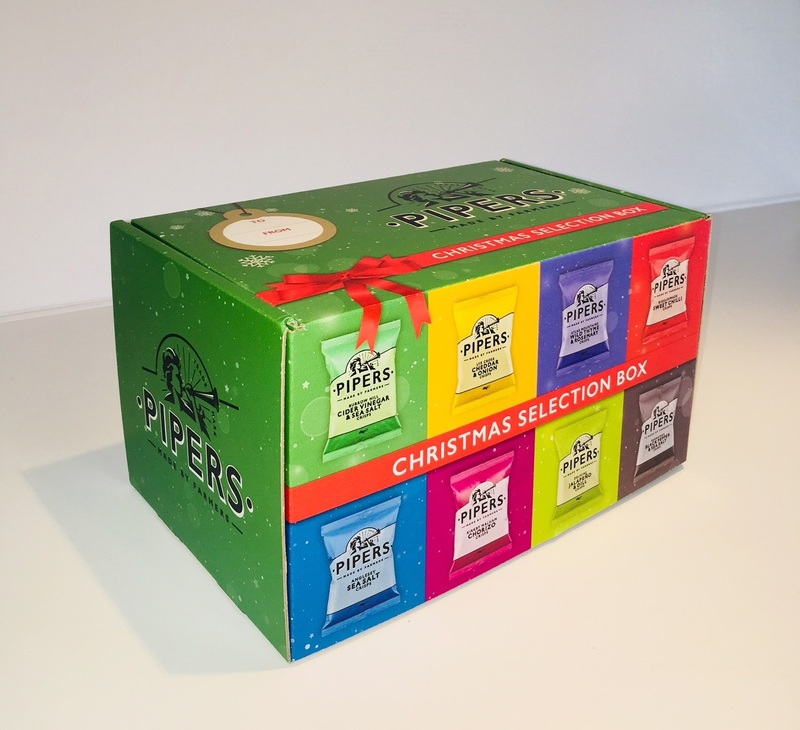 Apart from the fact that almost 99% of us like both, we have had the extra pleasure to work with the UK’s Best Snack Brand for 2017-2018 by helping them bring their crisps Christmas Selection Box to life; and we loved it as much as we love Christmas and crisps. Initially, our customer’s marketing team already had an idea of what they wanted. Considering factors such as the trend of sustainability of packaging, and therefore choosing a corrugated cardboard box to present their products in, our customer also benefited from some of the key attributes of the material. For example, the versatility and durability of corrugated cardboard, as well as being an excellent medium for a two-face digital printing that presents our customer’s branding in a vibrant and exciting way. However, one of the main challenges of this project was related to our customer’s tight deadline, where the launch of their Christmas Selection Box was approaching rather quickly. Therefore, our team had to ensure we prototyped the box in an express manner. Moreover, our designers had to oversee the artwork layout and design supplied in order to adapt it to our printing equipment as well as assess the colour variations required for achieving the outstanding quality box that reflects our customer brand and products. 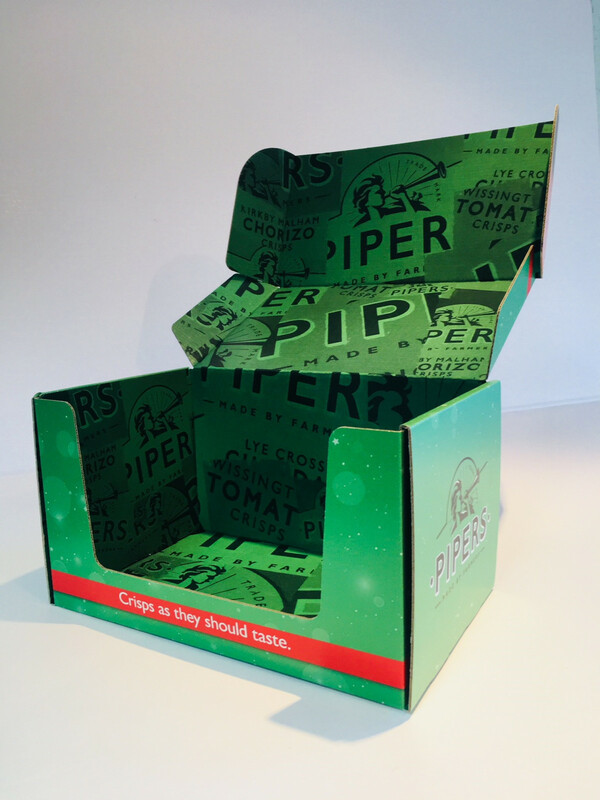 All precisely planned and executed within departments and individuals, we managed to help and manufactured a fantastic box, the perfect addition to the Christmas Stocking: impactful crisp Selection Box of Pipers Crisps and as they called it “Give the gift of crisps this Christmas”. We would love to hear what your product is and work with you to help you place it in the spotlight, so reach out to us today and discover what our expert team of designers and cutting-edge equipment can do for you too.